Each package has material for five students. Grades: 4–Adult. 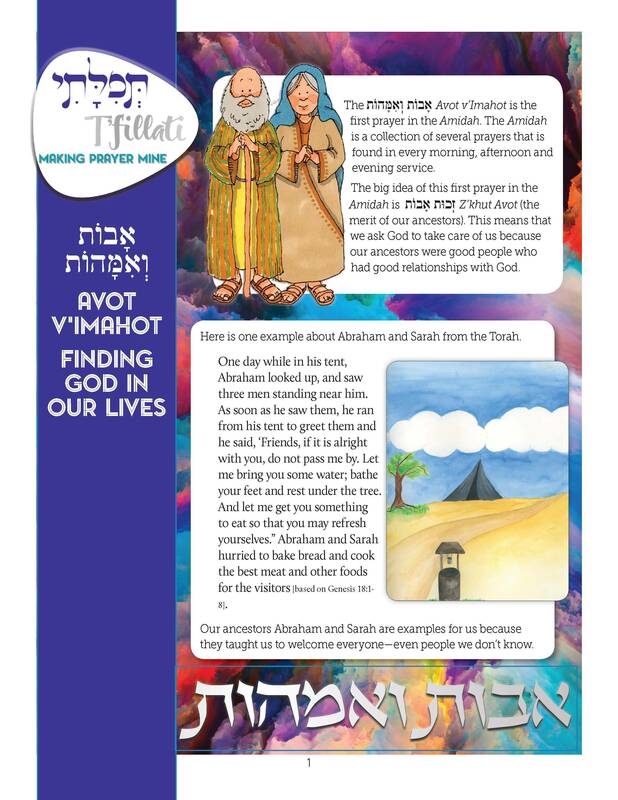 T’fillati—Making Prayer Mine is new way to look at personal meaning in individual prayers by exploring the central ideas of the liturgy, Torah and Midrash, helping students forge connections with the words of our siddur. The T’fillati lessons include key phrases from the prayers, stories and exercises designed to guide comprehension and creativity. 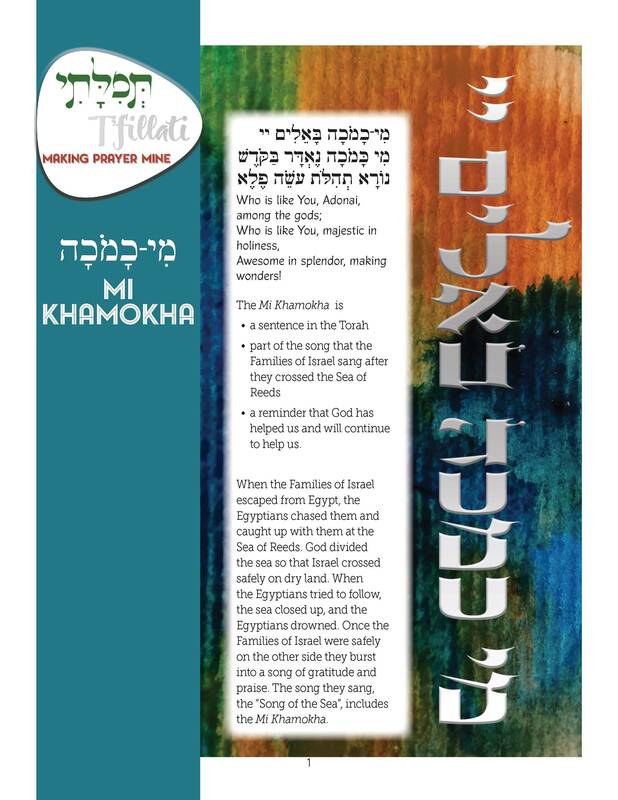 With T’fillati—Making Prayer Mine, liturgy will come off the page and into the hearts and minds of your students. "In general, regardless of the teaching resource, studying a prayer can often mean merely developing accuracy and fluency decoding the prayer words. The curricular emphasis may be gaining proficiency in leading the prayer or reciting the prayer alone, before the congregation. 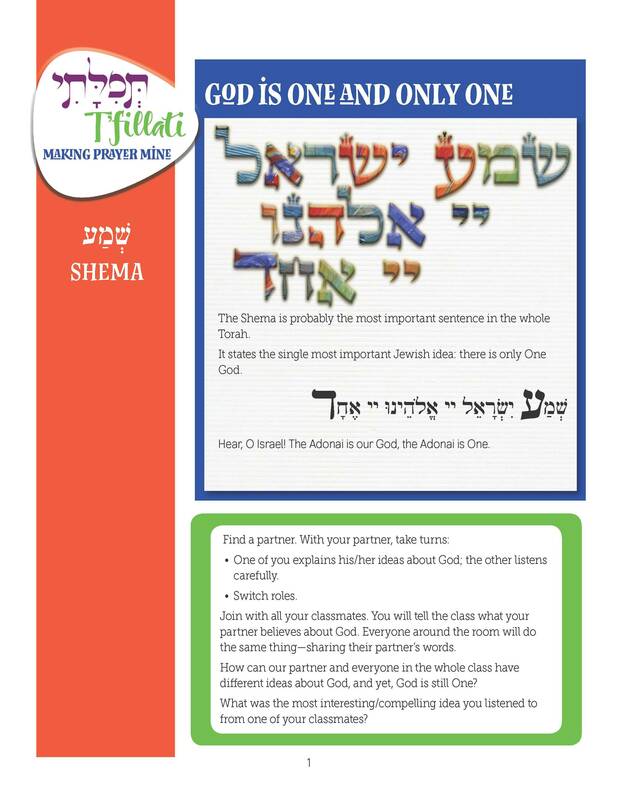 Due to the time constraints which often frame Jewish Education, personal connections to God and to inner feelings which the prayer inspires may be of secondary importance. A student's achievement in Hebrew School may be judged on how well they say the prayer and not on how meaningfully they pray the prayer. 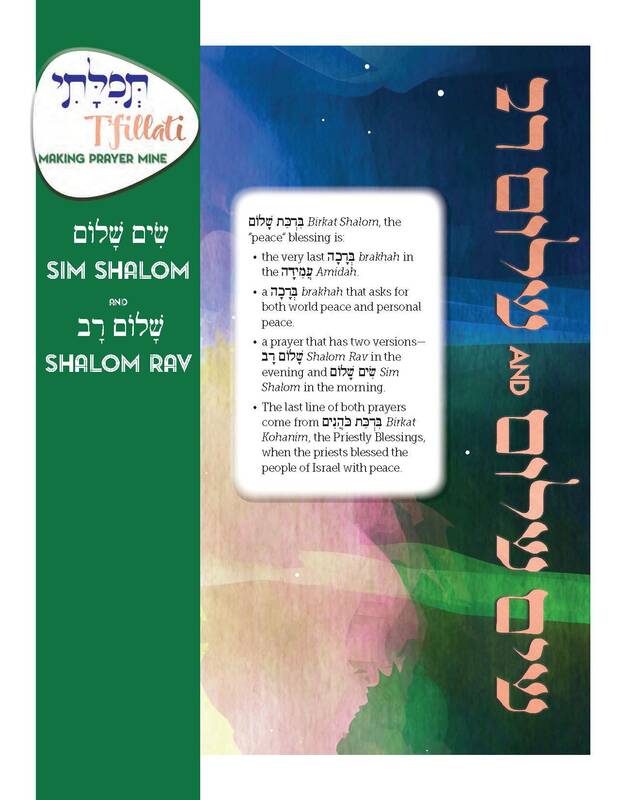 The T'fillati program adds the vital dimension of how to pray the prayer. 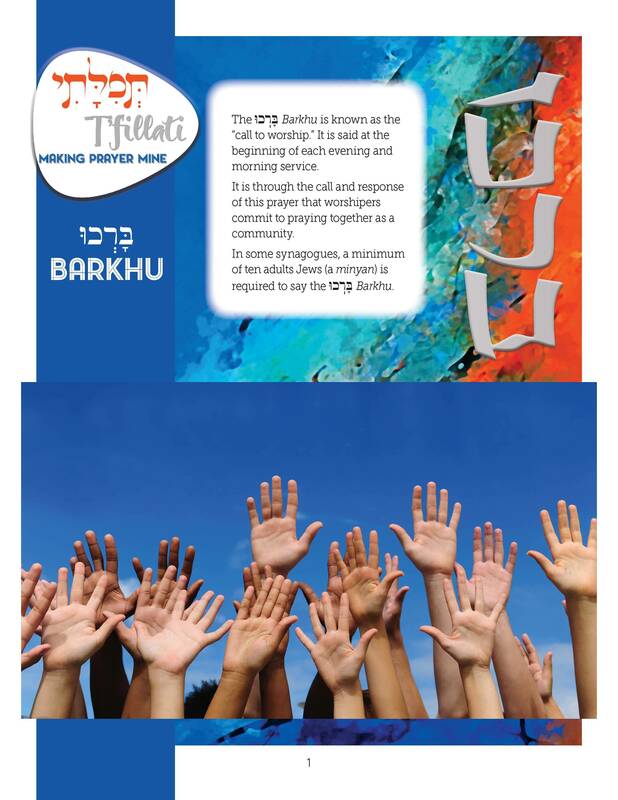 References to Hebrew word meanings and text translations promote a deeper understanding of and personal context for the prayer. 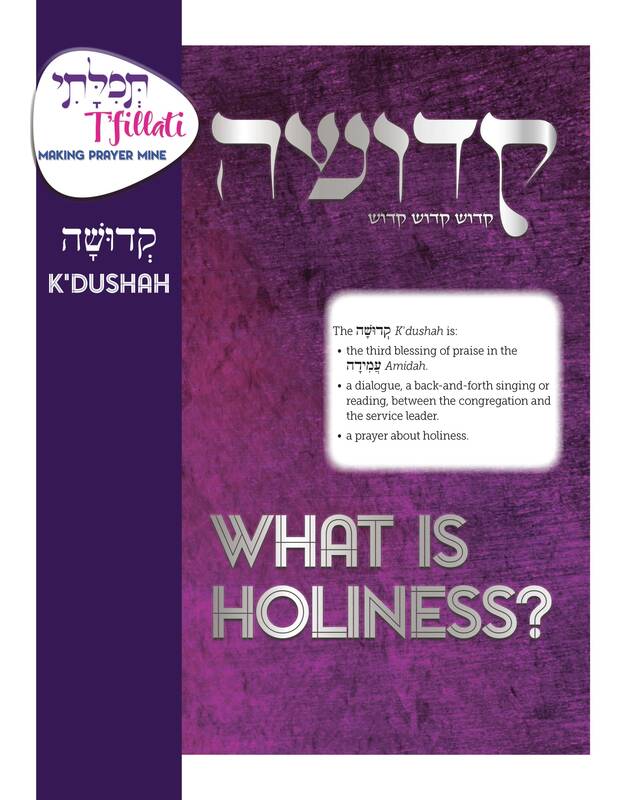 In this way, the prayer becomes both a living and an evolving entity in the student's religious/spiritual life and a step in the lifelong acquisition of Hebrew language skills. 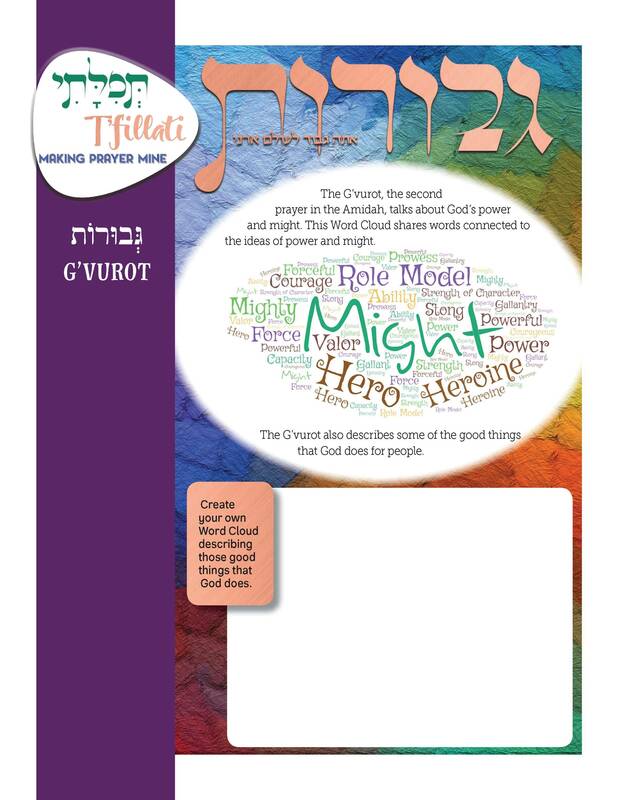 The T'fillat materials provide insights into Torah, Talmud, Midrash, Jewish History, and Jewish observance. 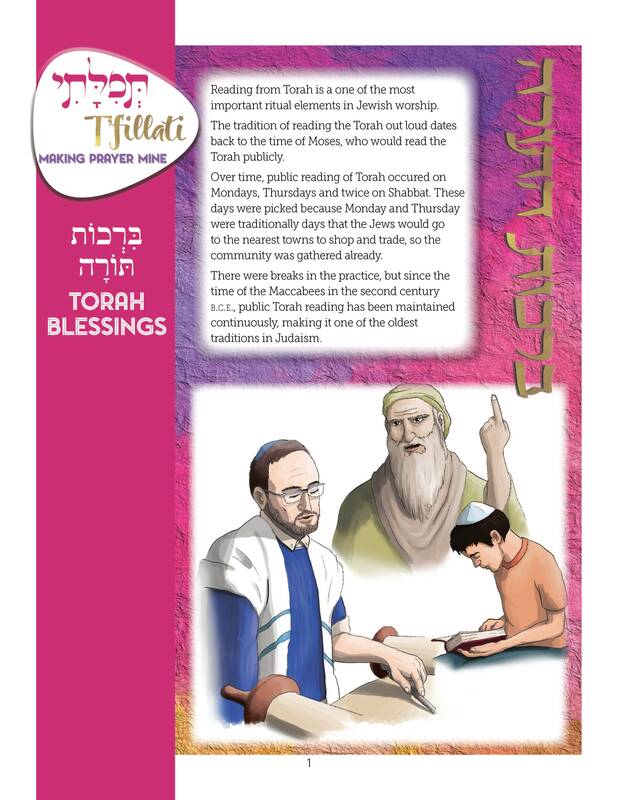 Engaging in the T'fillati lessons acquaints students with Torah figures, teachers of Jewish wisdom, and, most importantly, the many facets of God. This, in turn integrates T'fillati with other areas of study and makes possible an expansive and coordinated curriculum." 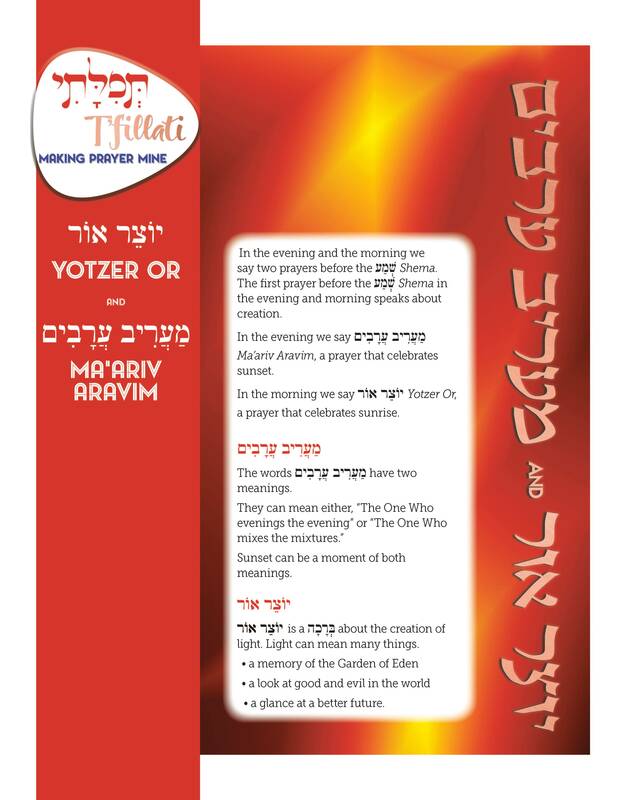 T’fillati Yotzer Or/Ma’ariv Aravim explores how these two parallel prayers represent our understanding of God’s creation of the world by looking at sunrises and sunsets. 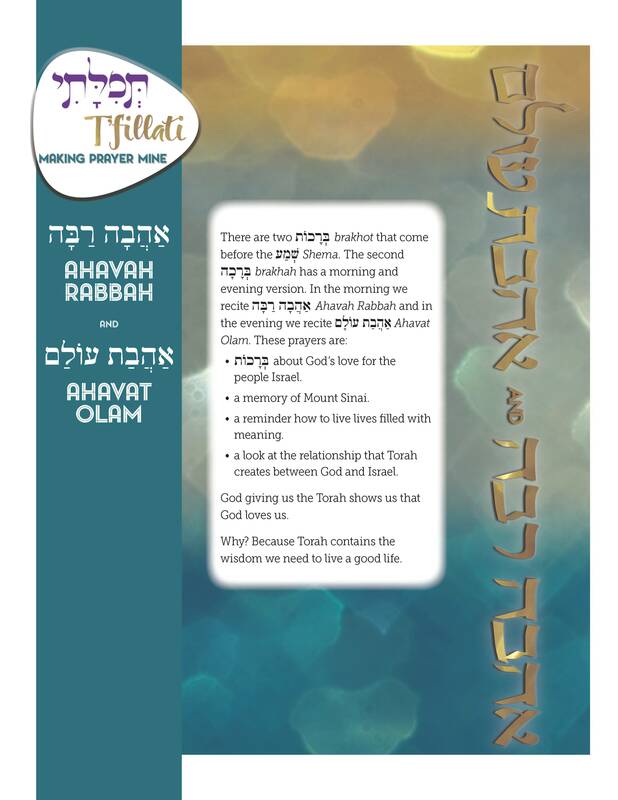 Students consider the hidden light that, according to the Baal Shem Tov, is in the Torah. 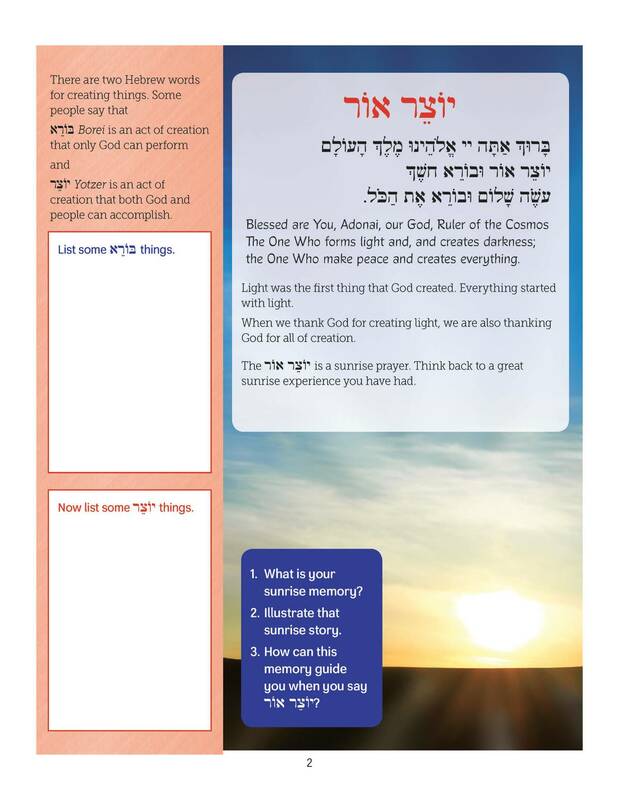 Students will also discover what it means for these prayers to be in present tense and connect God to the brilliant light of sun rise and the colors of a sunset every day. 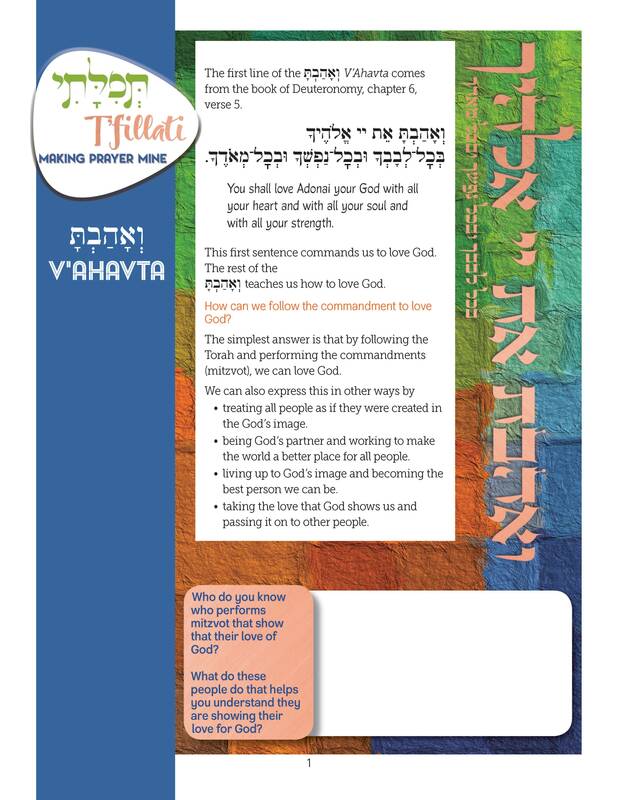 T’fillati—Making Prayer Mine packets are $11.95 each and contains five copies of the lesson. Enter the number of lessons you want for each item and then use the add to cart button. Remember each package has materials for five students.